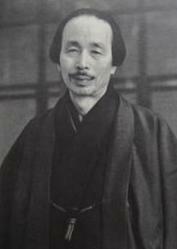 Masaharu Taniguchi was a Japanese New Thought leader, founder of Seicho-no-ie. Masaharu was born in Kobe, Japan. He majored in English literature at the University of Waseda in Tokyo. He had an inborn love and compassion for mankind and was deeply troubled over the suffering of humanity. Taniguchi passionately studied many of the old and new philosophies of both eastern and western thoughts in order to find the answers to the problems common to all people. After extensive study and contemplation, Taniguchi suddenly received a divine revelation while in a deep meditation. Around this time his daughter had also been miraculously heal from an unknown sickness she had suffered from. Taniguchi felt the light of the Truth had directly been made clear to him. Around this time, Taniguchi was working as an English translator with a business firm. He bagan saving money with hopes to one day publish a non-denominational Truth movement magazine. Soon after having saved a considerable amount of funds, Masaharu became a victim of theft. He turned to meditation and reflection to solve his current dilemna and received more inspiration. In 1930, Masaharu Taniguchi published the first issue of his magazine, Siecho-No-ie ("home of infinite life, wisdom, and abundance").Siecho-No-ie magaznes focused on physical and spiritual healing and were similar in content to those published by the Unity School of Christianity. Taniguchi's magazine was often referred to as the "Japanese Unity". Siecho-No-ie grew into a movement during the 1930s, briefly being suppressed during World War II. Masaharu Taniguchi also studied the works of Fenwicke Holmes, who was the brother of Ernest Holmes (founder of Religious Science). Taniguchi even translated Holmes' book, The Law of Mind in Action into Japanese. Fenwicke Holmes was also an influential figure in the development of Seicho-No-le, and athough the two men had never met one another in person, Fenwicke collaborated with Taniguchi for the writing of the book The Science of Faith in 1952. Taniguchi wrote more than 400 books throughout his lifetime. He passed away in 1985 at the age of ninety-one.